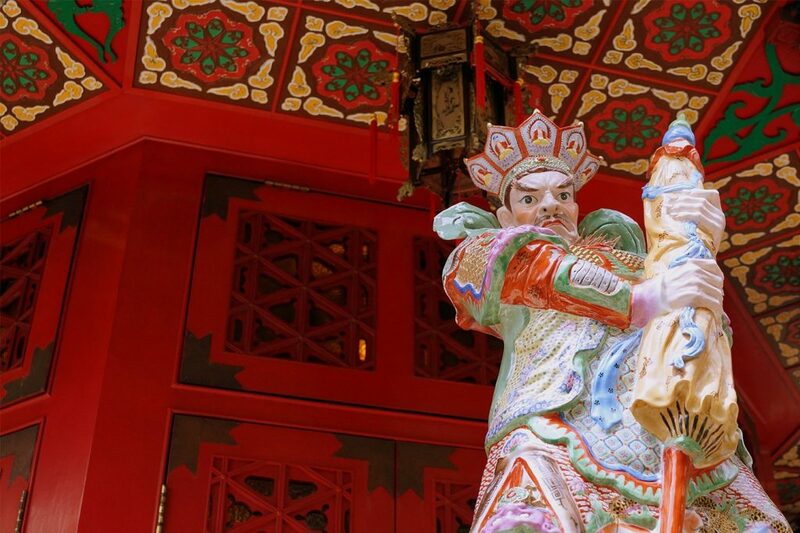 Wong Tai Sin's Birthday: How Did the Mysterious God of Health End Up in Hong Kong? You might be familiar with the scenes of Chinese New Year crowds clamouring at the gates of Wong Tai Sin on Chinese New Year’s Eve, thousands of people eager to cast their first wish of the new lunar year. But there’s another occasion to celebrate the distinctly Hong Kong deity: his birthday. It’s a surprisingly understated event. Although Wong Tai Sin’s birthday is certainly not a quiet affair, the ostentatious pageantry that normally accompanies a god’s birthday is not on display. His gargantuan temple in Kowloon is busy throughout the year, with hordes of visitors coming to get their fortunes told. On the day of his birthday — October 12 this year — the temple is packed to bursting as buses from Guangdong and beyond bring in throngs of mainland Chinese devotees to join locals in making offerings and receiving predictions about their future. The cult of Wong Tai Sin is strong even though he is a relative newcomer to Hong Kong. His temple is by far the grandest in the city and his following is growing rapidly, not just here, but further afield in China and other parts of Asia. The story of Great Immortal Wong (Wong4 Daai6 Sin1 黃大仙) in Hong Kong began in 1915. A Taoist herbalist named Leung Renan arrived in Wan Chai with his son and a portrait of Wong Tai Sin, a Taoist immortal and health deity. They set up a traditional medicine shop and installed the portrait of their patron over an altar. 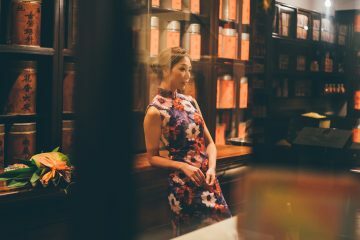 Over time as the shop became more and more successful, so rose the devotion to Wong Tai Sin’s. People began worshipping at his shrine, praying for a swift recovery. After just three years, the shop’s life ended in fire, but the portrait of Wong Tai Sin was miraculously saved by Leung, who placed it in a temporary shrine. This modest structure gained a following that continued to grow. In 1921, Leung received instruction from the immortal himself to build a permanent temple. Leung then began a quest. 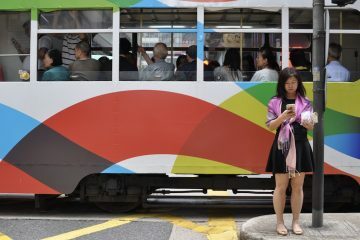 He wandered around Hong Kong and Kowloon, waiting for the god to give him a sign that he had found the right place for a new home. When he arrived in Chuk Yuen Village, Leung felt that the location was auspicious and consulted the god through planchette writing. In planchette writing, known as fu4 gei1 (扶乩), a god guides the hand of a medium or follower as they draw patterns in a sand box. 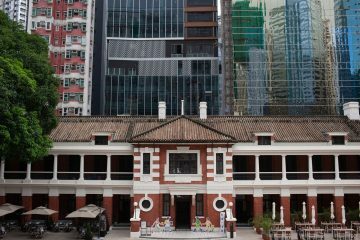 Through the patterns in the box, Wong Tai Sing indicated that he was happy with Chuk Yuen Village and welcomed it as his new home. In the beginning, the temple was only open to Taoists and their families, but more and more non-Taoists followers were also eager to pay tribute to the god of health. It was not until Chinese New Year in 1934 that it was opened to the general public, although only for a few days, to accommodate a swell in interest. The temple has since become one of the most popular places to visit during Chinese New Year. Over the next few years, several gods spoke to Leung and the temple committee through planchette writing to advise them on temple construction, the number of buildings required and how to name the halls. This is how Cheong Wong (Man4 Coeng1 Wong4 文昌王), the god of literature, gave the temple its cryptic name, Sik Sik Yuen (Sik1 Sik1 Jyun4 嗇色園) which itself became the name of the organisation that has managed the temple ever since. In 1937, the compound was expanded as it became wealthier and gained more followers. Two decades later, however, its existence was threatened by the government, which wanted to reclaim the temple land for housing development. 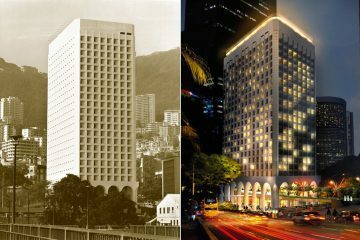 Sik Sik Yuen worked together with the influential Tung Wah Group of Hospitals, a major charitable group of hospitals that also manages temples, to give them joint management. The temple was saved. Access to the public was also expanded – anyone could now visit the temple, as long as they paid a 10 cent fee to the hospital group. The entrance fee was dropped in 1965 when Sik Sik Yuen became a charitable organisation. 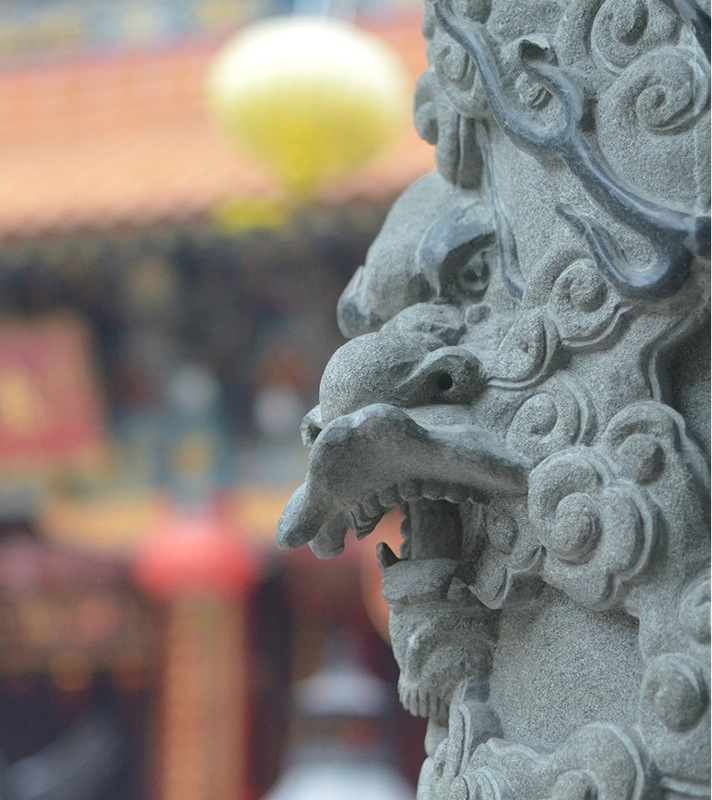 Today, the temple is an extensive complex, with shrines and temples to Taoist figures, but also Buddhist and Confucian idols. The main temple hall, called the Red Pine Wong Immortal Hall (Cek3 Sung1 Wong4 Sin1 Ci4 赤鬆黃仙祠), houses the original portrait of Wong Tai Sin, but is inaccessible to the public. Fortune tellers’ booths surround the complex and droves of worshippers visit every day to ask the god to heal them but are also praying for good luck. 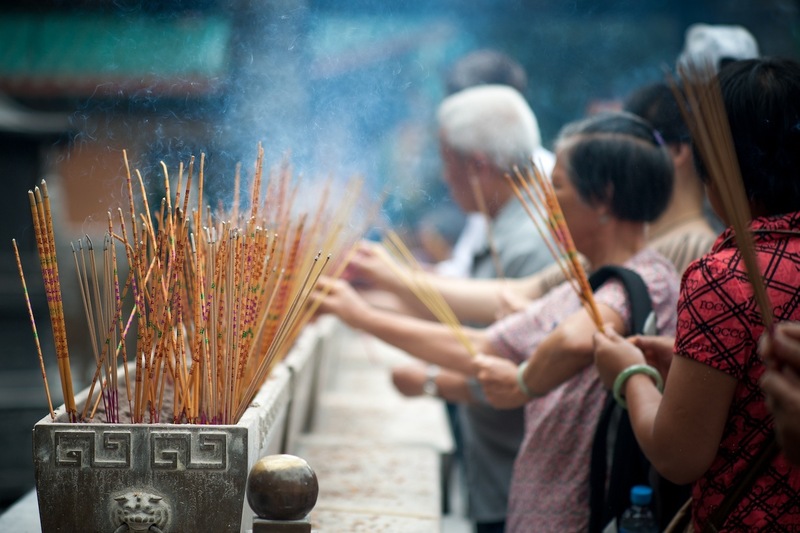 While the god started off as a health deity in Hong Kong, word spread that the fortunes told by Wong Tai Sin were more accurate than those of other gods. These fortunes are relayed through the medium of fortune sticks known as kau4 cim1 (求籤). 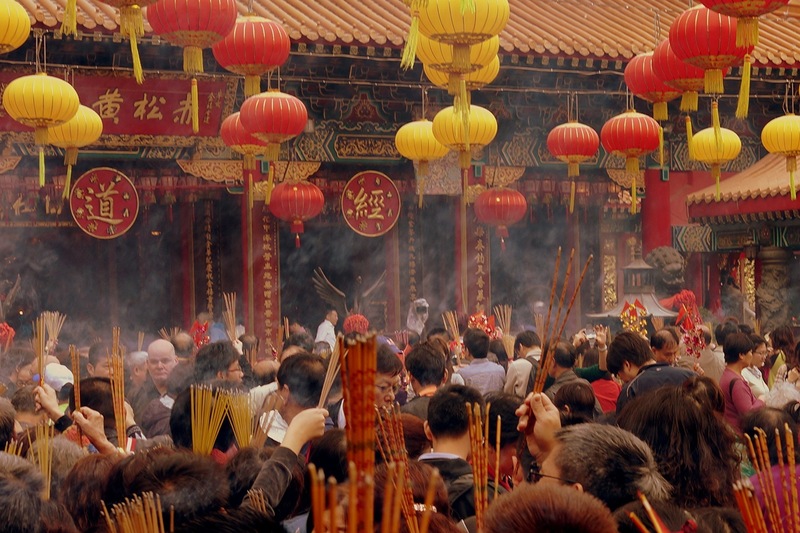 People lay out offerings to the god in the courtyard in front of the Red Pine Wong Immortal Hall, then shake a bamboo container full of sticks until one falls out. Each stick has a number on it that relates to a printed verse. The verse is then taken to a fortune teller at the temple to be interpreted. Thousands of visitors come each day, lured by the promise that Wong Tai Sin will “grant whatever is asked for” (jau5 kau4 bit1 jing3 有求必應) to those who believe in his powers. Despite this tradition, not much is known about Wong Tai Sin himself. His modern cult began in Guangdong province, which is how Leung came to be one of his devotees. In the 19th century, Mount Xiqiao (Sai1 Ciu4 Saan1 西樵山) in Foshan became a centre for the worship of the Great Immortal Wong. Guangzhou has a temple to the immortal that is older than the one in Hong Kong, but it was torn down by the Japanese Army in the 1940s. Even after it was rebuilt, the decades of spiritual decline that came with Communist rule pushed it into irrelevance. It’s a mystery how Wong Tai Sin came to Guangdong in the first place. What we know of his origins are explained in a text called Self-Description of Master Redpine (Cek3 Sung1 Zi2 Zi6 Seot6 赤鬆子自述) that is kept in the Hong Kong temple. This text is purportedly written by Wong Tai Sin himself, but it is likely based on the 4th century Taoist work Biographies of Divine Transcendents (San1 Sin1 Zyun6 神仙傳), which tells the stories of several immortals from the era. The text, written in the first person, states that a boy called Wong Cho Ping (Wong4 Co1 Ping4 黃初平) was born in Jinhua in Zhejiang Province in the year 328 during the Jin dynasty (265-420). When he was eight years old, he began working as a shepherd on Red Pine Mountain. At the age of 15, he met a Taoist immortal who taught him how to make the cinnabar elixir of immortality, a state he achieved forty years later. Becoming known as the Red Pine Immortal (Cek3 Sung1 Sin1 Zi2 赤鬆仙子), he could transform rocks into sheep and had magical healing powers. The text also clarifies that he is not the legendary Master Redpine who lived in 2500 BC, with whom he shares a name. An interesting twist to the tale is that some of Wong Tai Sin’s adherents believe he is another immortal with a similar name. Mount Loufu (Lo4 Fau4 Saan1 羅浮山) in Huizhou — about 85 kilometres northeast of Hong Kong — was where the famous Taoist immortal Ge Hong (Got3 Hung4 葛洪) lived and died in 343. Interestingly, he is attributed by most Taoist scholars as to be the author of Biographies of Divine Transcendents. He is said to have had a disciple named Wong the Wild Man (Wong4 Je5 Jan4 黃野人) who became immortal but stayed on earth when his master flew to heaven. Many devotees of Wong Tai Sin in Guangdong think that this Wong is the one worshipped in Hong Kong, but this belief is strongly refuted by the Hong Kong temple. 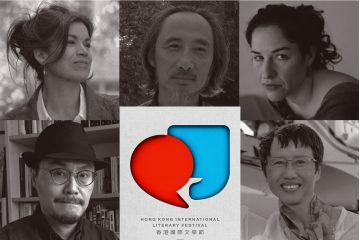 This confusion has led some people to try and meld the two Wongs’ hagiographies, but this has not been successful, as their stories and iconography are irreconcilable. Wong the Wild Man is depicted as a Taoist hermit with a rough beard and clothing made of leaves and furs. He holds herbs in his hand and has deer resting at his feet. By contrast, Wong Tai Sin is depicted as a Taoist with a dark beard and moustache, sitting in a cross-legged position, wearing blue robes and a hat that slopes down on the front and back. He carries a fly whisk and has the index finger of his left hand extended upwards, pointing to the heavens. He is a pleasant looking figure and certainly no wild man. There is something very welcoming and open about his face; perhaps this charm is what captured visitors to Leung’s medicine shop in the early 20th century. 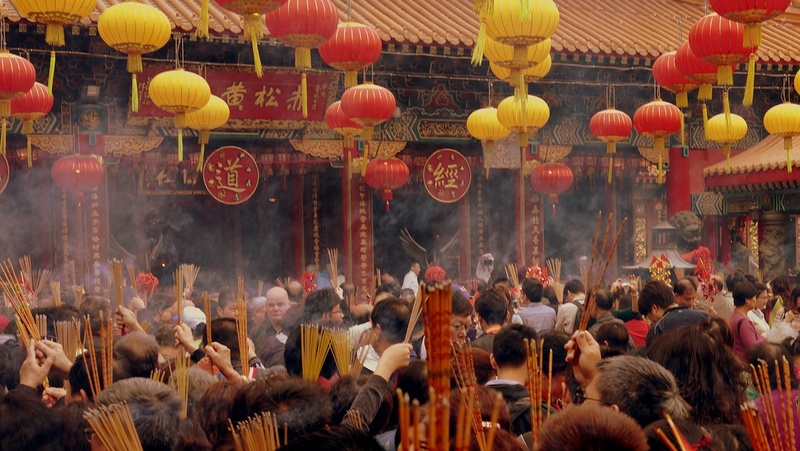 While Chinese New Year is the most popular day for people to visit the sprawling temple complex of Wong Tai Sin, those who wish to show the god their devotion offer incense and witness the Taoist rituals performed for his birthday on the 23rd day of the eighth lunar month. It’s a chance to show the Great Immortal that they truly believe in his powers – and not just during Chinese New Year. Wong Tai Sin’s birthday falls on October 12, 2017. The temple is next to the Wong Tai Sin MTR station on the Kwun Tong Line. The biggest temple in Hong Kong is preparing for the birthday of its resident deity ,Wong Tai Sin, whose cult is the fastest growing in southern China.